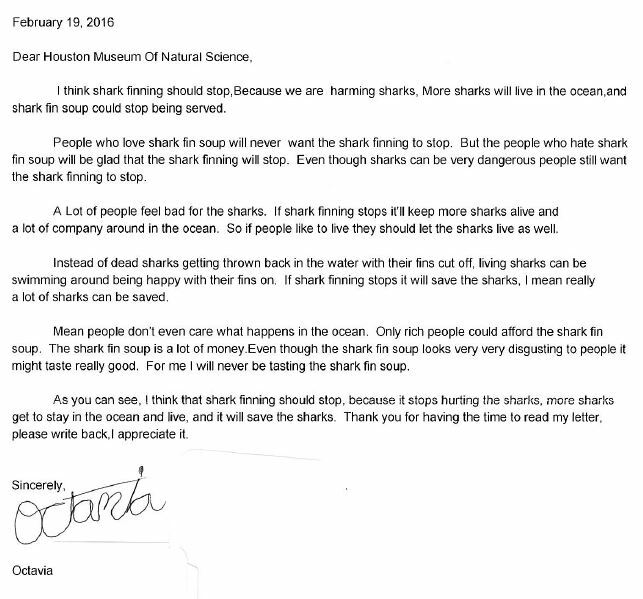 The Youth Education department at the Houston Museum of Natural Science received an unexpected letter last month from a concerned elementary school student named Octavia. 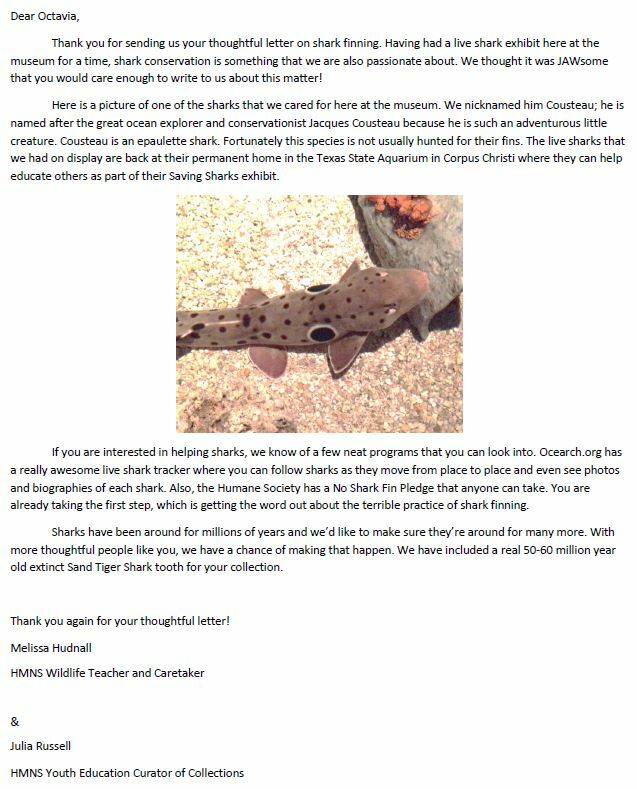 She takes a stand against shark finning, an issue weighing heavily on the hearts of many around the world, and her letter is proof that we will certainly pass the environmental concerns of our generation on to the next. The letter arrived on Youth Education Curator of Collections Julia Russell’s birthday, so her colleagues passed the letter along to her. A “shark nut” by reputation, she embraced the letter as a welcome surprise. Naturally, we’d love to see other students and adults get involved. Visit the OCEARCH web site to track shark migrations across the Earth’s five oceans, and visit the Texas State Aquarium to look into the lives of our oceanic cousins. Spread the word for Octavia; kids can make a difference! Hey this is octavia, i wrote that letter when i was in 5th grade im in 7th grade now and im sorry to say but i lost the shark tooth but it was hard to keep anyways because it was all crushed up when i got it so yeah sorry it took me forever to write back.